A great customer experience is an expression and a reflection of your core values and commitments to your patrons. These virtues must be made visible to your customers in everything you do — both the big details and the little details. 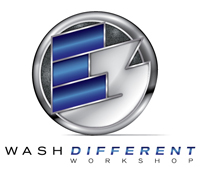 Don't miss the International Carwash Association's Wash Different Workshop to learn how you can create the ultimate customer experience. Ask yourself: Would you want to be a customer of your your car wash? Why? This session offers attendees the opportunity to examine strategic questions about their own company’s consumer experience. For this amateur wildlife photographer, carefully watching the weather and the wildlife has contributed to some of her most durable management philosophies. Here are a few points for managers to ponder. Visit http://www.huffingtonpost.com/patricia-mcguire/management-lessons-from-t_b_3667831.html?utm_hp_ref=small-business&ir=Small%20Business to view the full article online. Dealing with an employee who's struggling to keep up? These 4 simple steps will help you make your team stronger. Visit http://www.inc.com/lee-colan/4-keys-to-coaching-underperforming-employees.html to view the full article online. Your business lives and dies by its customers. If you impress a customer with your attention to detail and genuine care, you can turn even the most reluctant customer into a champion of your brand. Visit http://www.entrepreneur.com/article/227615 to view the full article online. We all make mistakes from time to time, but you don’t want to make a wrong step with this real-time platform. Here are 14 practices that could be devastating to your Twitter reputation. Visit http://www.forbes.com/sites/stevecooper/2013/07/29/14-practices-that-will-ruin-your-twitter-reputation/ to view the full article online. The city of Salem advises local nonprofit groups planning a car wash fundraiser to contact one of its "Clean Streams" campaign partners: Blue Elephant, John's Car Wash and Willamette Mist. The campaign aims to curtail pollution in local waterways. Visit http://www.statesmanjournal.com/article/20130727/UPDATE/130727004/Salem-forms-Clean-Streams-partners-aid-car-wash-fundraisers?nclick_check=1 to view the full article online. The Village Car Wash and Laundry reopened its doors for the community of Dexter, MI, and surrounding areas recently. Cheryl and Peter Caffrey, who have owned the businesses since 2005, invite locals to experience the new car wash and laundromat after it was demolished by the tornado of 2012. Visit http://www.heritage.com/articles/2013/07/30/dexter_leader/news/doc51f7f29394cf7540326156.txt to view the full article online.